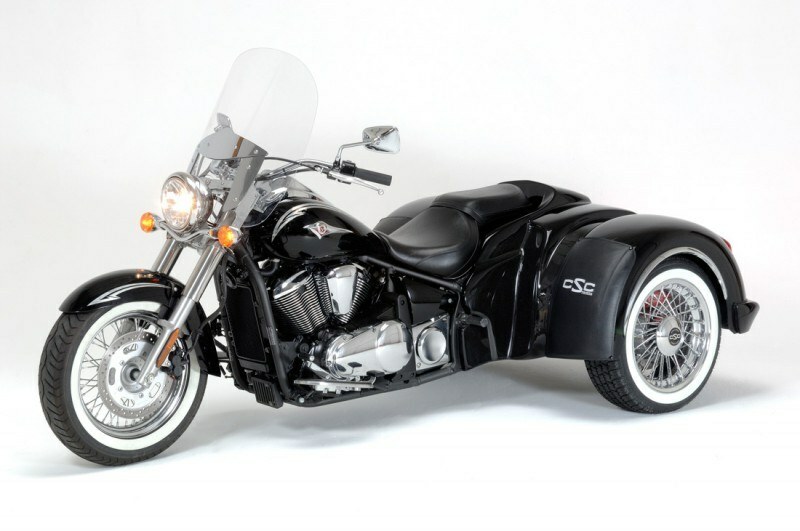 CSC introduces its latest trike conversion for the Kawasaki Vulcan 900 bike, the CSC INDY. This Kawasaki Vulcan trike by CSC will meet the demands of those looking for a lower entry price in purchasing a trike and will also provide a less intimidating trike without giving up exceptional handling, style and performance. 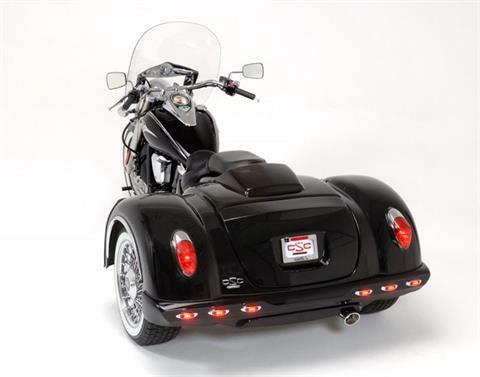 The INDY trike can ride with the Big Boys and still provide the comfort and handling you would expect from the bigger trikes. 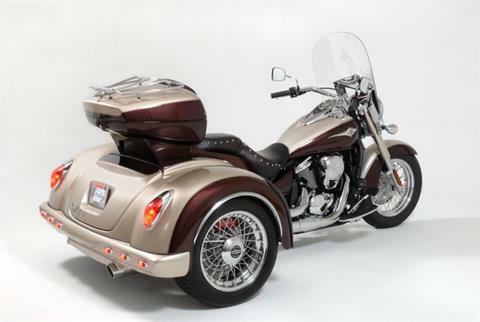 The INDY is the only Kawasaki 900 trike in the market that offers an optional electric reverse and an optional tour box for the extra storage benefits. The INDY creates a trike with great value without compromising style and performance. See below for more information on the INDY. Fits the Kawasaki Vulcan 900 from 2007 to date. Trailer wiring harness: Equipped with the female connector for the Escapade line of trailers. Male connector may be purchased separately through California Sidecar Parts & Service Department. Emergency release cable: Located just above the battery box on the left side of the trike, this cable releases the trike body trunk door in case of primary latch malfunction. 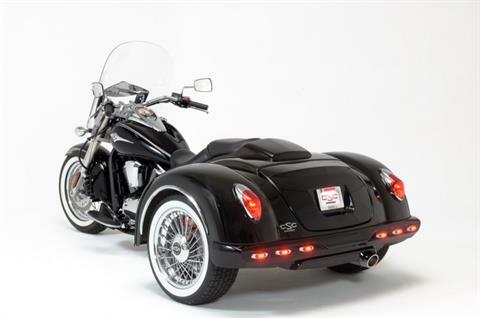 Paint care: The care of the paint is critical for the first 90 days of the trike body. 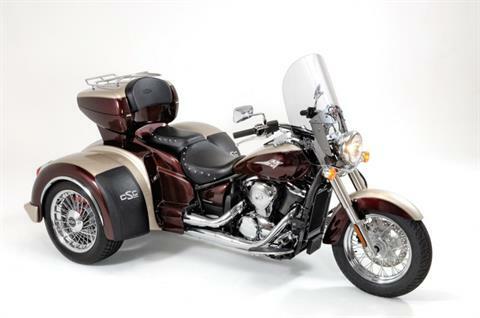 Do not cover the trike body and / or wax the trike body for the first 90 days. The paint is however, suitable for pin striping and / or painting of murals at the time the trike body leaves the factory.